Ichikawa town in Hyogo prefecture is the birthplace of soft iron forging in Japan. Soft iron forging is one of the traditional methods of metal processing. The temperature of the metal needs to be raised until right before the metal starts dissolving. You need to beat the metal to exert pressure on it, break the porosity in the interior metal, miniaturize the size of the crystal, and mold it into the desired shape at the same time as adjusting the crystal orientations and enhancing the strength. The characteristic of this forging method is that the fiber becomes dense, therefore fewer cavities occur compared to casting, and stronger components can be made. 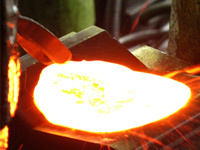 The forging technique has been utilized in creating metal components when failure is not an option, such as the wheels and the axle of the bullet-trains and local trains, and all sorts of detail components in car engines or aircraft engines. You can enjoy and experience the good quality of the original material and feel the efficient power conductivity by producing an iron from a single piece of metal. The forging flow line is the flow of metal particles which are connected ideally with each other like a line. Our Kyoei Golf club iron made from S25C(carbon steel) has an ideal forging flow line from face to neck. The excellent hitting feel and flexible elasticity are generated by this ideal forging flow line and connection. What is the soft iron forging method? Kyoei Golf produces the soft forged irons which are integrated from hosel to head so that we can improve the hitting feel and successfully eliminate the quality variations by making them in an integrated form. We are committed to this traditional forging method which we have used to produce products for more than half a century. 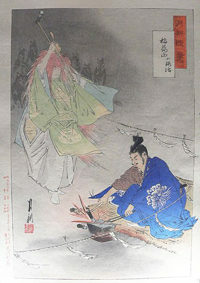 We will continue handing down this method to future generations which has now almost disappeared in Japan. Forged soft iron is the one you can make finer adjustments with. There is a reason why we have so many loyal users of this soft forged iron even today. One of the reasons is the excellent hitting feel. You can feel as the iron catches the core, and the hitting feel is stable and premium soft! And what is even more important is that you can adjust the loft angle and lie angle. As we human beings play golf, the golf swing is influenced by our physical condition. 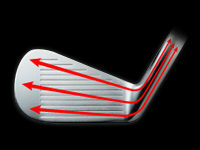 Therefore, this soft forged iron can adjust for small natural changes in our golf swing. As we stick to “MADE IN JAPAN”, our products are 100% made in Japan. Moreover, among other golf club head manufacturing factories, our factory is the only one in Japan where we do all processes including forging, grinding, and plating. With having a facility for all processes, we can establish an integrated production system and can mass-produce the head with a smaller range of weight tolerance compared to other company’s products. Manufacturing the beautiful head is realized by the excellent undercoating. With all master craftsman's passions for manufacturing products in all processes like forging, grinding, and plating, we achieved high-quality mass-production. This is the strength of our company's integrated manufacturing system. Our inspection system includes about 80 processes conducted by a total of 40 people. Until the iron metal bar is turned into the iron club, about 80 important processes have to be gone through and a total of 40 people get involved in those processes. Not only is passing each self-inspection difficult, but also the final check needs to be done by the top Inspection Department. This strict inspection system is the biggest reason why we still retain our Kyoei Golf quality for over 60 years.